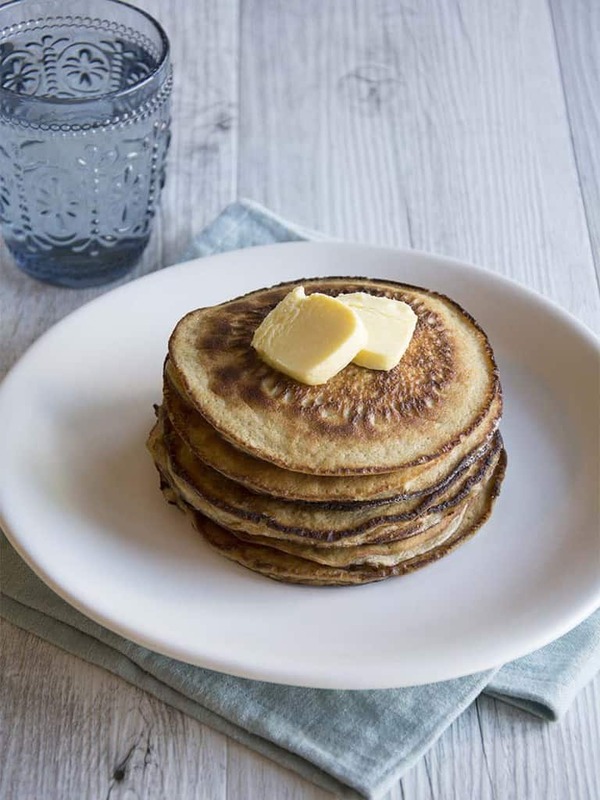 Simple yet delicious, these SIBO friendly basic pancakes are perfect for breakfast, brunch, dessert or as a snack. Pair with your favourite condiments. Place all ingredients except the butter in a blender and blitz until really well combined. Heat a skillet over a medium heat. Melt 1 tablespoon of butter in the pan and then pour some pancake mixture into the pan. You might like to make one big pancake or a few smaller pancakes. Cook until small bubbles appear on the surface of the pancake. Flip and then cook the second side until golden brown. Remove from the pan and set aside on a warm plate or keep in a lightly warmed oven until all pancakes are cooked. Repeat the process, melting new butter and cooking more of the pancake batter until all of the batter has been used. Serve warm with any toppings of your choice. If you can't tolerate almonds but can tolerate another nut flour, feel free to substitute it with that. If using coconut flour, you will need to add some extra moisture as coconut flour is more absorbent. You can add some extra water to the mixture.